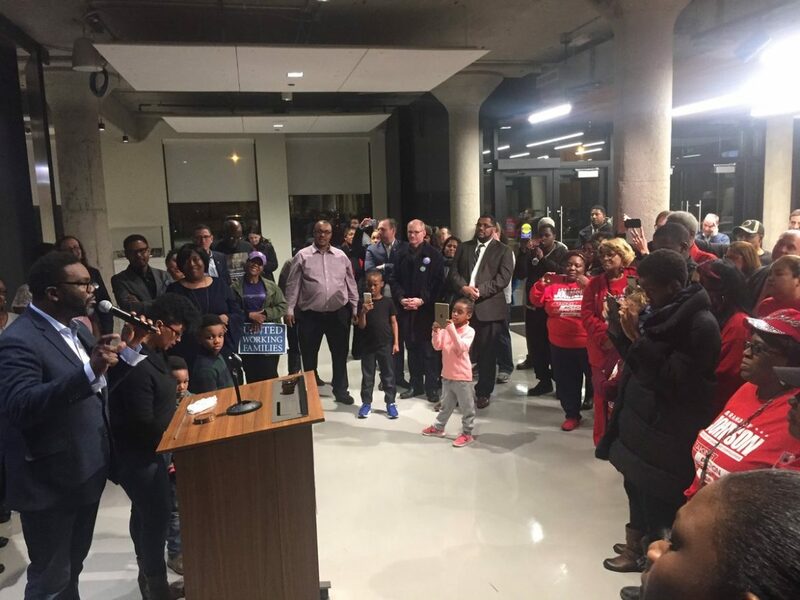 Two days after the Democratic primary, Brandon Johnson declared victory in the race for the Cook County Commissioner 1st District seat. But first-term incumbent Richard Boykin says he’s not conceding. Johnson is leading the race with 23,867 votes, just 302 votes ahead of Boykin, who has 23,565, as reported by the Chicago Tribune Election Center. “I have not conceded. The race is not over,” Boykin said Thursday. He did not said whether he will seek a recount once of all the votes have been counted. That could take several more days, one local election official said. There is a total of 232 precincts in the 1st District – which includes Austin, other parts of Chicago’s West Side as well as several west suburbs – of which 144 are in the city of Chicago and 88 in other parts of Cook County. All of the county precincts have been reported on Cook County Clerk David Orr’s office website. The Chicago Board of Election Commissioners tracks a total of 2,069 precincts throughout the city of Chicago. As of late Thurdsay, there were still 11 precincts citywide that have not reported results from Tuesday’s primary election – five of which are in the 1st District. One of those unreported precincts is precinct 18 in the 37th Ward, which is bordered by West Walton Street, North Central Avenue, West Huron Avenue and North Laramie Avenue. Precinct 37 in the 28th Ward is another without any recorded votes; it is bordered by North Cicero Avenue, West Kenzie Street, North Kenton Avenue and West Chicago Avenue, according to the Chicago Board of Elections new ward maps. It is difficult to pinpoint the three remaining precincts as they are split between the 1st District and other districts. Out of the 1st District’s 144 precincts, 132 are whole, while 12 are split. Jim Allen, a spokesman for the Chicago Board of Elections, said it is common for a handful of precincts to take longer to record for numerous reasons, including technical issues. Allen expects the unofficial results for the Johnson-Boykin race t0 be reported within the next two weeks. Mail-in ballots that were postmarked by March 20 also need to be counted, as do provisional ballots and ballots from senior nursing homes. At a Thursday press conference, Johnson declared victory based on the results so far, saying he is honored to represent the 1st District and committed to unifying the community. “We are thrilled with the results, and as that tally continues to grow, it confirms what we already know, and I am thrilled to be in a position to carry out this vision,” Johnson said later in a phone interview. Johnson, who has worked as a organizer for the Chicago Teachers Union and taught in CPS, said his next steps will be walking the district and knocking on doors to engage the community in creating a set of values they can all agree upon. The victor in Tuesday’s primary will also face voters in the Nov. 6 general election, then assume the Cook County Board seat afterwards.